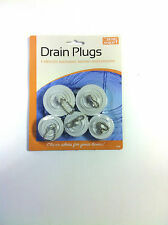 Can be used for draining or storing cutlery. Plant & Lawn Care. Attractive black high gloss painted steel finish. Garden & Outdoors. What to do if my order goes missing. Can be used for draining or storing cutlery. Plant & Lawn Care. Attractive White high gloss painted steel finish. Garden & Outdoors. What to do if my order goes missing. 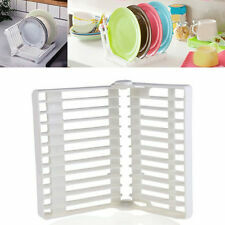 Novelty dishwasher shaped storage box, made from strong sturdy white plastic. Suitable for storing dishwasher tablets, it features a fully removable lid. Double sided dishwasher design, ideal for storage around the kitchen and utility room. Umbra Holster in Sink Sponge Caddy. Save on counterspace while keeping your sink tools close at hand, clean, and organized with this innovative kitchen tool from Umbra. This innovative in-sink caddy utilizes Umbra's innovative Sure-Lock technology, sealing and locking the caddy to the wall of your sink as well as a built-in ledge for a secure grip and stability. Holster holds a sponge, brush and dishcloth and has drainage holes to help keep them clean and dry. Features: Umbra Holster in Sink sponge caddy. Colour: Charcoal & Nickel. Kitchen sink caddy/organiser. Keep sponges, brush and dishcloth to hand. Has a rust-proof stainless steel bar. Includes drainage holes on the base. Main body is made from moulded plastic. Suction caddy uses Sure-Lock technology. Caddy measures approx. 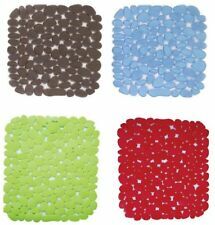 DRAINING MAT – Provide protection for your sink with this draining mat. 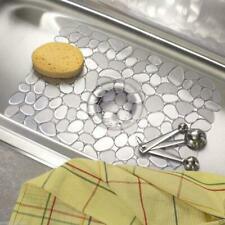 Provide protection for your sink with this draining mat. 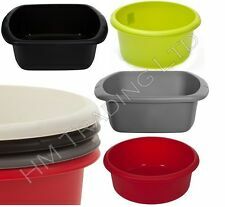 Ideal for placing any size dishes for washing and drying whilst also protecting your kitchen sink. Addis Kitchen Sense soft touch washing up bowl. Made from strong sturdy plastic with a silicone base liner and four silicone feet. The twin material design is designed to protect both sinks, dishes and cutlery. The ultimate camping convenience if you need to quickly wash up, the drainer also has a handy crockery holder and cutlery divider. 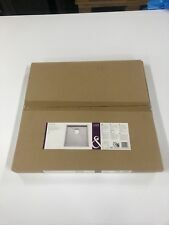 1 x Dish Draining Board. A quick solution when you are in need of saving space, draining board simply folds away for storage in seconds. The Washing Bowl is break resistant, easy to clean and opens and folds in seconds. 8 ltr capacity. Easy to open and fold. Umbra Holster in Sink Utensil Caddy. Save on counterspace while keeping your sink tools close at hand, clean, and organized with this innovative kitchen tool from Umbra. This innovative in-sink caddy utilizes Umbra's innovative Sure-Lock technology, sealing and locking the caddy to the wall of your sink. Holster holds a variety of tall utensils and a scrubbing brush and has drainage holes to help keep the items clean and dry. In the caddy is a partition that helps divide and support the tools you put in. Features: Umbra Holster in Sink caddy. Colour: Charcoal & Nickel. 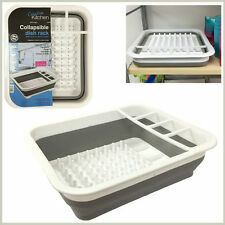 Kitchen sink caddy/organiser. Keep tall cleaning brushes and cutlery. Has a rust-proof stainless steel bar. Includes drainage holes on the base. Main body is made from moulded plastic. So let’s say (hypothetically speaking) you don’t have a sprawling designer kitchen. Patch is perfect for narrow spaces, like the windowsill or that utterly useless area behind the sink. And best of all, it looks great year-round. Simply place the draining tray on the side of your sink. Ideal where there is no draining board or where you need to create extra space. High gloss surface finish-easy to clean. Before first use remove the labels and wash in warm soapy water, rinse thoroughly. The pop up design allows you to shrink the amount of storage space needed, the draining rack is made with a strong plastic rim and base making for a durable and ridged design. FOOTED PLASTIC BASE FOR DURABILITY AND HYGIENE - the draining rack is made with a strong plastic rim and base making for a durable and ridged design. This Yellow durable square washing up bowl is the ideal addition to your kitchen sink or countertop. Washing Up Bowl 34x15x34cm . Sports & Exercise. Deep Square design. Includes Drainage Hole.